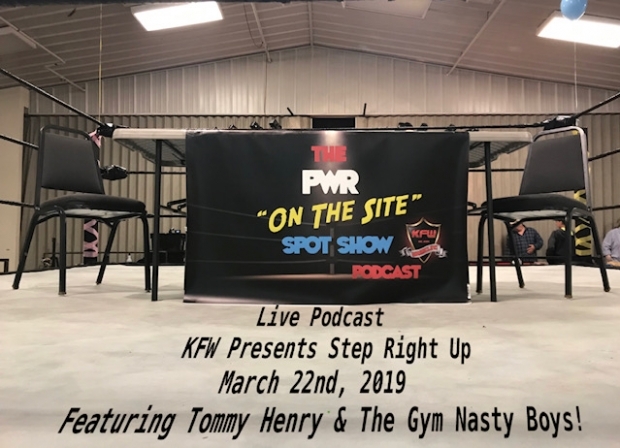 The PWR Spot Show is back with an “On The Site” Spot Show @ KFW’s Step Right Up which took place on March 22nd 2019. Richard is joined by show favorite Issac Cain as they talk with one of the KFW founders Tommy Henry and then are joined by the fan favorite tag team of the Gym Nasty Boys! This is not too be missed if you have ever heard of the Gym Nasty Boys you know to expect the unexpected!